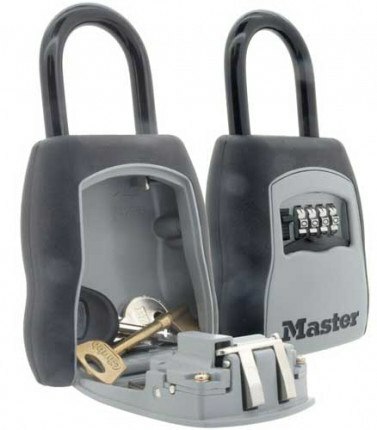 The Master Lock 5400D Portable Key Safe. 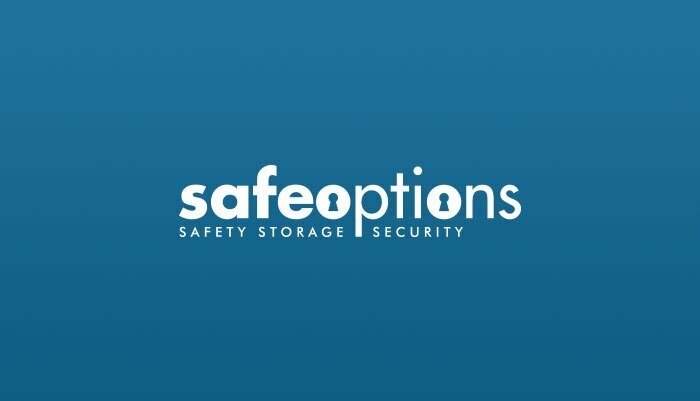 This keysafe can be attached using the padlock shackle for emergency or occasional use, with a holiday caravan, yacht or boat, or at home. Keys can only accessed after the padlock shackle is released by your personal 4 digit code, which can be easily changed as you wish. Cleaning and Maintenance companies can retrieve access keys from it when you want them to. Open the hinged door and on the inside of the door you will find a small silver lever - Push the reset lever left and down. The lever remains in this position and then you are able to move any or all of the 4 number wheels so that your preferred code aligns up centrally on the dial. You can then close the door and the move the wheels randomly to lock the safe. The new code is now set. 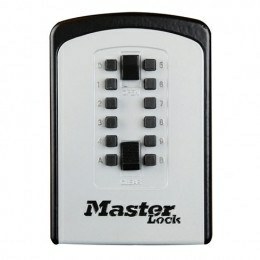 How can you change the code on Master Lock 5400D Padlock Key safe and is there a master code to get in if I forget my code? 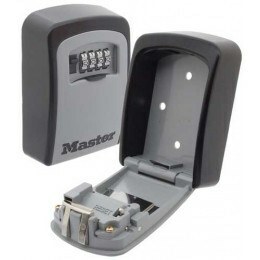 If you need to change the code on the Master Lock 5400D Padlock style Key safe then follow these simple instructions. The pre-set factory code id 0-0-0-0. Just open the hinged door and on the inside of the door you will find a small reset lever - Push the reset lever left and down. The lever remains in this position and then you are able to move any or all of the 4 number wheels so that your preferred code aligns up centrally on the dial. Make sure they are definitely aligned correctly and then move the lever back to it's original position you can then close the door, move the wheels randomly to lock the safe. The new code is now set. Unfortunately there is no way this key safe can be unlocked without knowing the set code. 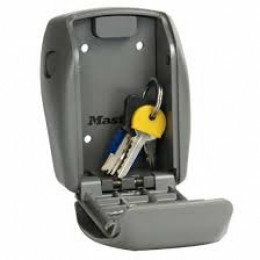 How can you reset the code on a Masterlock Padlock key safe? 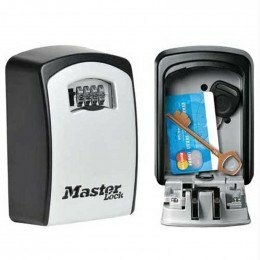 Changing the code on the Master Lock 5400D padlock keysafe is very simple - the pre-set factory code is 0-0-0-0 - open the hinged door and on the inside of the door you will find a small silver lever - Push the reset lever left and down. The lever remains in this position and then you are able to move any or all of the 4 number wheels so that your preferred code aligns up centrally on the dial. Make sure they are definitely aligned correctly and then move the lever back to it's original position you can then close the door, move the wheels randomly to lock the safe. The new code is now set. What's the largest type of key it holds? 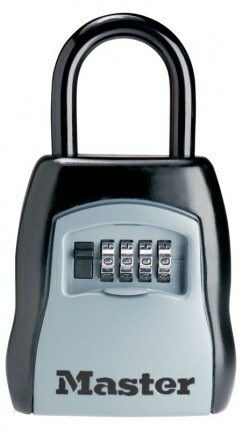 The Master Lock 5400 padlock key safe will hold at least 4no. 7cm length mortise keys. We can confirm that the internal height of the shackle on the Master Lock 5400D is 48mm and the internal width of the shackle is 36mm.